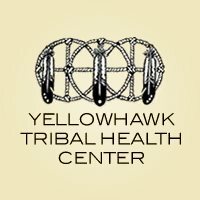 In September 2015 Kirby Nagelhout Construction Company was awarded the CM/GC contract for the Yellowhawk Tribal Health Center located on the Umatilla Indian Reservation. The Medical Clinic is being constructed by the Confederated Tribes of the Umatilla Indian Reservation with the goal of providing quality medical care to the members of the Confederated Tribes of Umatilla Indian Reservation. The approximate 60,000 square foot Medical Clinic project is being directed out of our Pendleton, Oregon office and is due to be completed in in the summer of 2017. The project is being managed by Wenaha Group and NBBJ is the architect.